The following is a guest post from Graeme Sanderson of New York, NY. 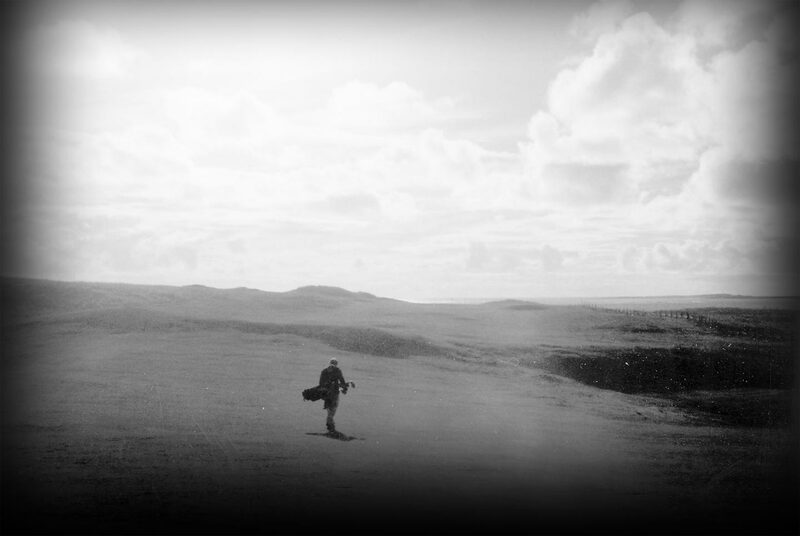 Having been given the opportunity to contribute to Epic Golf, I was looking forward to the chance to play a course that warranted a detailed review (I also had to remember to drop a camera in the bag before heading off to the course, which for me is not yet instinctual). Any course I reviewed would have to stand side by side with the likes of Taconic, a golf course I have the highest regard for, and Tetherow, a new challenge that based on pictures alone I expect could put most public tracks in my area to shame. As I am based in New York City, the opportunity to play a daily fee course of distinction is few and far between, but with the golf season rapidly drawing to a close for all but the heartiest among us, I found myself outside of West Chester, Pennsylvania in late November with a spare morning, and it was there that I found my subject: The Golf Course at Glen Mills, a Bobby Weed design ca. 2000. In the days leading up to the round, I reviewed the course’s tidy website, complete with the Golf Digest Top 100 2005-2006 seal of approval prominently displayed, as well as the following introduction: “Our golf course at Glen Mills is directly linked to the Glen Mills Schools…the oldest existing residential facility in the country for troubled youth.” The site also provided the link to a recent article on myphillygolf.com which provided helpful background. I woke early that Saturday excited to get to the course. After a scenic drive past Pennsylvania homesteads, I turned at the decommissioned Glen Mills train station and pushed on up and past the hill that the school itself sits on, down into a valley where I saw my first golf green (which I would later learn was the 18th) and through the gate for the winding drive up to the clubhouse crowning a hill of its own. Fortunately or unfortunately, depending on one’s mental fortitude and ability to work a golf ball, the wind was also up to greet me, blowing at a constant 20 mph, while the temperature was a brisk 42 on the 1st tee. As I was running a few minutes late, I did not have a chance to fully experience the facilities, but what I did see was first rate – tastefully appointed public spaces and a deck that would offer a foursome an excellent place to convene after a round. was given top billing, while Weed’s welcome wishes appeared near the end. Given Bobby’s bluster about both the need for a ‘strategic plan’ and the course’s ‘innovative strategy’, I immediately figured I would have a difficult time shoehorning his track into the Epic Golf pantheon, but that is not to say I teed off (into the teeth of a particularly strong gust) with anything other than an open mind. Side note: the yardage book was extremely helpful, faithfully recreating Weed’s design team’s artwork, while also providing a ‘Profile’ of each hole’s elevation changes near each page’s margin. The first tee shot at Glen Mills is the most straightforward on the course, allowing the golfer to feel loose and confident due to the width of the landing area. As is often the case though, this can lead a golfer to abandon the steady swing thoughts from the practice tee, resulting in a sprayed drive and missed scoring opportunity on what is otherwise a relatively easy hole. From the tee box the green is hidden from view by an undulating fairway that ends in a relatively steep slope down to the green. A stand of trees and a gaping fairway bunker on the right provide definition, yet it is the second shot that first got this golfer’s pulse racing. Standing at the top of the fairway (after a piercing drive down the center) and surveying a short iron ‘drop shot’, I found myself fixating more on going long than worrying about the pot bunker that divides the green’s apron. Thinking back, I wonder whether Bobby intended this or thought the real penalty was lying two in a favorite sod wall bunker. Safely on, the green revealed itself to be expertly tended, which made for an enjoyable day of putting. The 2nd hole was a complete about-face from the tee. No longer is the golfer presented with an ample stretch of green, but instead a blind carry over a string of bunkers. Choosing the proper line is difficult for the first time player, but after a quick fact finding mission in the cart, the tee shot proves to be far easier than at first blush. I want to pause to address the motorized cart’s impact on Glen Mills. While the terrain can be extremely hilly at points, the layout is not overly expansive such that one needs a golf cart to navigate between holes (a la the 8 minute drive through the swamp one encounters at Tiburon). On the majority of holes, tee boxes have been nestled quite close to the previous greens, while the natural beauty of the surrounding countryside beckons the golfer to get out and walk. I neglected to inquire about a caddy program, which would seem a natural fit for the course. The damage has already been done, however, as a ribbon of pavement now traces its way through the 18 holes. The only benefit I could think of is the cart affords the first time golfer the ability to scout out the blind shots and check yardages for a few key landing areas (on a warmer day I might have had the discipline to do just that). From the 2nd fairway, the view of the green is obscured by the coffin bunker 70 yards in front of it. The false front effect the namesake bunker creates, coupled with a horizon green and its backdrop of the school on the distant hillside, plays with the golfer’s head, making the approach shot planning all the more difficult. Stepping off the 2nd green and directly onto the 3rd tee, the golfer is presented with a right-to-left hitter’s dream. I would have loved to play the hole when its fairway was firm, but after a week’s worth of rain the course was not giving up much in the way of roll — though I should note its drainage system performed admirably under the circumstances. The approach is played to a relatively large oval green guarded by a large bunker front/right. In retrospect, the size and shape of the 3rd green is unique in its ordinariness–throughout the course Weed frequently opted for narrow, geometric shaped putting services stretching 40+ yards that play much smaller than their size; the extremities would only be appropriate for the most devilish tournament pin placements. I expect the 3rd hole is overlooked in favor of its design-heavy neighbors, or as simply a vehicle to transport the golfer to the 4th tee. It deserves better. The double dog leg 4th begins with a seat belt-fastening tee shot that provides ample room distance-wise for a well struck driver, ever a pet-peeve of mine for 550+ yd holes. The landing areas for the second and potentially third shots, however, are a different story, as the fairway gets far tighter as it bends its way down to the green below in the distance. To make matters worse, the lay-up shot to the second elbow of the fairway must be expertly judged so as to carry the appropriate distance without running long into a large bunker. The net effect is that the golfer is encouraged to hit a fairway wood onto the green in two, one of the two bunkers short right or the rough that surrounds them, as opposed to playing the hole as a sturdy 3 shotter. Disappointingly, it appears this is what Weed encourages with his dressing up of the quarry/carry with pockets of bunkers, as opposed to letting the area grow wild and look even more penal. The first par three at Glen Mills is a steep step down with bunkering that enhances the optical illusion of a blind false front. It’s a fun shot, and provides an interesting test if the last full swing the golfer made was a 3-wood and everything in his bag from 260 on 4. It also marks the golfer’s departure from the hilltop meadow (and “quarry”) he has been circling and entrance into the old growth forest, the setting for the next four holes. The 6th tee shot presents the golfer with a narrow corridor with trees encroaching on the right and a fairway that bends hard enough right to mean the dreaded 250 yd straight ball will be in the rough or into the trees. It the golfer is able to slot a left to right play, the second shot is pretty enjoyable, as the fairway tightens down towards the green. A brook peeks out from the shadows of the right trees, brought into play only by the fact the paved cart path is lurking over there as well. The green is protected by a depression short and bunkering to its right. I watched multiple golfers plod down the left hand side of this fairway and the left hillside rough, unable to bring themselves to swing away from a ball-below-the-feet stance and risk losing a fade/slice into the right trees and creek. One can’t properly appreciate a 56-yard-long, narrow mutli-tiered green built into a shelf of a steep hillside without viewing it from the cart path above. Don’t get me wrong, I love stinging a low 3 iron into the wind from 210 yds, but given the pins had not been set according to one of the course’s predefined placements (that morning the gentleman in the pro shop had advised us to just play to the high point on the green (?! )), this hole was a lot to ask. The “Hell” bunker staring the player in the face begins 40 yds out from the green and is the only thing between a fade staying relatively close to the level of play and running down a lie in the woods 30 feet below. Adjust your Par for the hole accordingly. I found the sightlines for the tee shot on 8 to be unique – angular, with a grass-covered ledge jutting out from the shoulder of the hillside. Downwind the hole screamed scoring opportunity, but as the ramp to the green is quite narrow, the prudent play is something in the neighborhood of 200-220 yards, long enough to get over the rough cuts, humps and bumps, and to the widest section of the fairway. Short of the green, the apron ramps up and one would guess many attempts to find the green in one end up backtracking their way down to the collection area without gaining a foothold on the 20 yd. deep strip of putting surface. From the 8th green the golfer enjoys a grand view of the Glen Mills campus across the valley, but perhaps more engaging is what lies below as he has a chance to take stock of some of the back nine’s most thought provoking and at times frustrating terrain. Heading for home, the tee shot on the 9th requires the golfer to favor the right side (or even right rough cut) to enjoy the best angle of attack at the shelf green built into the hillside below the clubhouse deck, as the approach from the left hand side of the fairway is partially obstructed by a crop of trees. A strong right to left wind can help swing a well struck approach closer to the pin. I loved this one-shotter that opens the back nine – a mid-iron from an elevated green to a 54 yd. long diamond green with marsh intruding on the right. While a left-to-right shot that trickles off the right side of the green will stop safely short of the marsh, a wildly mis-struck ball lines into that lateral hazard. Running parallel to the 17th, No. 11 is described as the most controversial hole on the course, as well as the most difficult. While I would agree with the former I managed to turn it into a scoring hole thanks to an aggressive tee shot. The accompanying pictures attempt to illustrate the issue I have with the hole and how I came to the decision to blast a driver and bring birdie into the mix. The first captures the disorienting tee shot from the back tees, as there is only a mere suggestion of the problems down the left side, while the hill to the right of the fairway (capped with the ever-present paved cart path) appears to offer a natural backstop. Between the visual evidence and the diagram, I decided I wanted to have plenty of carry to take the elbows of the hazard (image #2) out of play, even if it meant running up to the side of the hill. By contrast, the club tees provide a clearer view of the troublesome creek that winds down the entire left side of the fairway. If presented with this full frontal view, I expect I would have been more inclined to pick a yardage and play 11 as a target golf hole. What this would have meant, however, is that I would have left myself with a shot of ~150 yds to one of the narrowest greens on the course. Again, the shaved hillside appears to be a viable option. The 11th is certainly a fun hole to traverse, and if the golfer is able to card a par or better he is going to leave the hole with great swing thoughts for the more manageable holes to come. But if the golfer achieved that score by overpowering the hole, the satisfaction is tempered a bit. The 11th’s corridor of play is almost too narrow to accommodate the windy creek and surrounding marsh and still have room for parallel holes, not to mention the infrastructure that accompanies them. After the absorbing 11th, the 12th felt relatively benign, despite quite literally a sea of blue in view. The tee ball is played onto or ideally over a rise in the fairway that the right bunkers have been shaped into. A well-struck ball has the chance to run down the slope and stop quite close to the green. I would imagine Weed thought of this hole as a half-par for the golfer who is able to block the right side’s dangers out of his mind and swing freely. From the tee (and on the scorecard) the 13th can seem a bit daunting, stretching out 75-100 yds longer than the previous hole. Here, however, Weed has done an excellent job of arranging the tees to create the appearance (at least from the back tees) of a forced carry, where in fact the hole never really runs over the marsh. There is far less trouble than the overhead view would suggest: whatever carry the chosen line requires is fairly manageable, while the fairway bunker is (likely) not reachable. From squarely in the middle of the fairway from off the tee, the golfer now realizes that his drive has traveled a good deal further then he initially thought as the hole actually runs downhill to the green. The approach is played to an ample green whose front apron is bunkerless. The course’s second longest Par 4 thus proves to be another good scoring opportunity. Wedged back into a corner of the property, this mid to short iron Par 3 plays all carry to an elevated green that runs from front right to an extreme back-left corner hole location that I would have loved to have played. The hole featured the redan’s right-to-left green contour, with the right side apron free of bunkering, but the apron was far too steep a slope for the player to feel that he could confidently execute a running play. This makes the back left pin placement all the more intriguing: drawing the ball in would seem to make the most sense, since coming up short as a result of underclubbing would leave a pitch that only Pete Dye could love, but how to execute a draw in such a confined space, and to such a small target? I chuckled upon seeing an absurdly tiny collection area past the back corner, wondering if Weed actually thought he was giving the golfer a break. As I have never been a fan of fairways bisected arbitrarily by large swaths of rough to hem in the long driver, I was pleasantly surprised to find just how much I enjoyed playing 15 tee to green. The tee shot is played out of a chute behind the 14th green, with a large trap on the right to give the golfer pause. Making the right corner, the golfer looks down on an awesome collection of bunkering and landing areas. Depending on the wind the hole is quite reachable in two shots, so the question is whether to lay up to 100 and bring the right traps into play or fly a long fairway wood to pin high. Surprisingly, the diagram of the green complex neglects to mention the deep swale that runs across that putting surface. The final par three’s name suits it well enough. All carry and sod-faced edges, the holes feels natural enough. Given the size of the green I might have liked to play it at 180+ as opposed to a mid-iron into the wind, but I appreciate that under that scenario its moniker would have gobbled up even more nervy swings. From the tee, 17 feels like it is going to be a raw beast. The carry pictured covers the most rugged terrain on the course. Despite the short yardage, the uphill run of the hole means reaching in two is not a guarantee. Unfortunately, upon reaching the landing zone the golfer discovers the hole’s midsection is extremely technical and narrow. Instead of rough, roll and sand, the ribbon of elevated fairway is bordered by the valley creek and accompanying marsh hard on its left, separated only by the paved cartpath. The green complex, on the other hand, is an elevated treat, with a prominent pot bunker that demands attention. All in all, the hole has too much going for it to be sardined in alongside 11 in a valley wide enough to accommodate only one great hole, and is done the double disservice of being scarred with a cart path that deflects marginally off-center tee shots into the hazard. The 18th reminded me a bit of the final hole at Pacific Dunes – long and slightly disappointing. A long drive is required to carry trouble short left and attain the proper level of the fairway. From there the golfer tacks home to a par or bogey, likely remembering 14 or 15 holes ahead of it. I think it is unfortunate that Weed did not elect to reverse the pars of the final two holes and design a slightly shorter 17th, followed by a stretched out 18th, a Par 5 where he could really show his stuff, as in the case of 15. It appears that he would have had plenty of room to do so. But instead the golfer finishes up near the country road and is faced with the worst commute of the day, up the steep hill near the entrance and back to the clubhouse. For all the fault I found with Bobby’s work, I was in the end enchanted by Glen Mills and look forward to playing there again, albeit on a warmer day. Part of that has to do with the course’s mission statement and the great attitudes of the students who handled bags on a cold Saturday morning, even with school on break for the holiday. But the course itself deserves its due – it is expertly maintained and provides no shortage of challenge, variety and thrills. Perhaps with a bit less ‘design’ it could have earned its place among the truly Epic courses, but it is still a great course and should be added to Northeasterners’ list of ‘must-plays’. 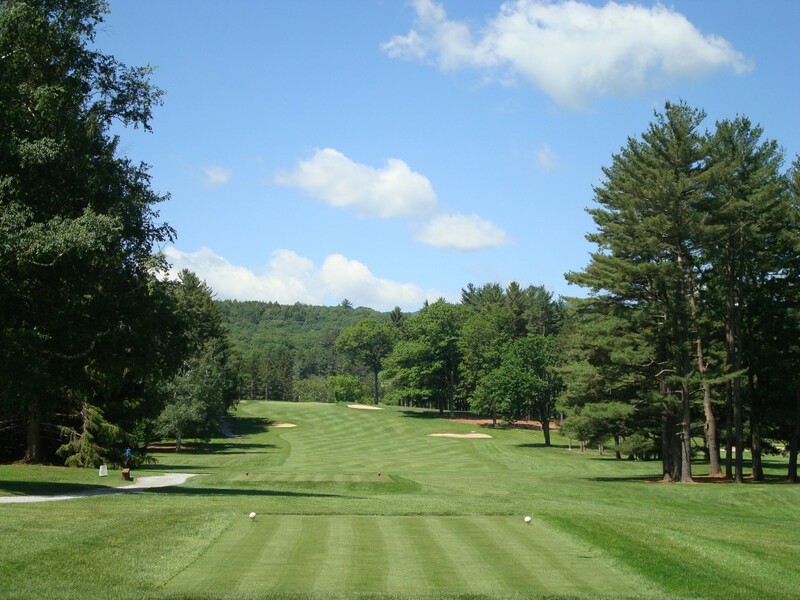 Taconic Golf Club, on the campus of Williams College, is consistently rated among the top college courses in the country, and is a regular fixture on any “Classic” Top 100 ranking. It’s hosted the U.S. Junior, Women’s, and Senior Amateur Championships, and the NCAA Championship on three occasions. No Williams student walks more than 20 minutes from his dorm to the first tee, and with rounds priced at less than $30 (the general public rate is $150), “getting out on The Taconic” is a favorite pastime of resident Ephs. Seven holes were laid out on the Taconic property in 1896, though the 17th green is one of the few remnants of that original layout. The course was overhauled in 1927 by the relatively unknown Golden Age firm of Wayne Stiles & John van Kleek and is widely considered to be their masterpiece. Gil Hanse was retained by the club in 2008 to restore some of Taconic’s original feel, and add a handful of fairway bunkers and new tee boxes. It’s a classic Golden Age design, featuring back-to-front sloped greens on all but a few holes. Some slopes, such as those on 6, 10, 13, and 17 insist that the golfer keep his approach below the hole–an uphill putt from 30 feet is often more makeable than a four-footer from the other side. Missing on the short-side of any hole is almost a sure bogey. Taconic is an intimate, tree-lined experience, laid out on just 109 acres of rolling terrain. But it’s a masterful routing–at no time during your round do you feel that the course discourages an aggressive play off the tee. While many tee shots are elevated, offering stunning views of the Berkshire mountains, most second shots are significantly uphill. This combination makes the aerial game–in particular distance control–a key to playing Taconic well. And while many architectural purists will surely consider this a deficiency, it should be noted that Taconic’s beginner and senior membership cohorts absolutely rave about their course, and few if any members have trouble walking the course in under four hours. Even more impressive than its routing is Taconic’s pacing. The golfer is eased into his round with three of the easiest holes on the entire course in the first four, which sandwich the front side’s toughest at #3. Not a single tee shot on the front side requires a driver, though significant advantage is gained on several holes by hitting one well, and there’s plenty of opportunity to get into a rhythm. While the front nine is enjoyable in its own right and the preferred side for most mid-to-high handicappers, it’s merely a prelude to the drama to come. Few courses can match the sustained, thrilling challenge offered by the back side at Taconic. Though eminently “fair” for stroke play competitions (you know you have to keep it below the hole), it’s a particularly great match play course. Any number of strategies are dictated by how confident one feels off the tee on holes like 12 and 13, or how much risk he is willing to take on with approach shots at 10 and 16. To cap off the round, 18, a fabulous reachable par five, offers a very real possibility of making anywhere from a 3 to a 7 (I’ve made both numbers myself, and everything in between). The understated clubhouse–in particular, the “back porch” just off the 18th green–is the perfect place to enjoy a Berkshire Brewing Company Steel Rail after your game (or just a quick sandwich if you’ve got a few more hours of daylight). Taconic is one of the finest examples of the gestalt concept of pacing I hold as an ideal in Epic course design, keeping the golfer in a rhythm throughout his round, and building to an amazing climax both strategically and topographically as he nears the end. The only real knock is that its green complexes are variations on only two themes. But the consistency of the experience contributes much to the feeling of rhythm, particularly as one enters the second nine. And the similarity of some of the greens belies the tremendous array of shots that Taconic requires the golfer to hit off the tee and on his approach in order to get there. Having played two other top-10-rated college courses, Stanford GC and Ohio State’s Scarlet Course, I am at a loss as to why they’re even considered to be in Taconic’s league, let alone ranked ahead in some publications. In fact, while I have not played it, Yale would be the only course I *might* put ahead of Taconic from a pure architectural or experiential standpoint. But no college course, and indeed few courses I’ve ever played, can match Taconic in terms of character and ambiance. Probably the easiest hole at Taconic by a good half-shot, the first is a reachable par five (though it’s changed to a long par four in tournament competitions) with a broad fairway and well-protected green. The old tee markers used to aim the golfer a bit towards the right rough; it will be interesting to see whether Hanse decided to maintain this detail in his restoration. Hanse’s addition of a fairway bunker on the right-hand side at approximately 250 yards off the tee will place considerably more stress on the golfer who hopes to reach the green in two, although the widening of the fairway on the downslope past this bunker should actually make the tee shot easier for the Tiger golfer. Stiles’ brilliant positioning of a coffin-shaped fairway bunker approximately thirty yards short of the left-front corner of the green adds some visual interest, and if you’ve hit only a marginal tee shot, creates some uncertainty as to whether to lay up or go for it. But you don’t really want to challenge that bunker, anyway–anything left of the green will leave a surprisingly difficult up-and-down, while the right-front bunker is not at all a bad spot. The green is one of the most subtle on the course, and once you arrive at it, you’ll likely be surprised by the degree it slopes from left-to-right and back-to-front. A short hike (~40 yards) up the hill past the 17th tee box takes the golfer up to the back tee for #2. This is a good time to check out the hole location on #16. The second tee shot is one of the most elevated on the course, and one of the most susceptible to the wind. Hanse’s placement of a fairway bunker in the right half of the fairway at around 120 yards from the green is a wonderful addition, and now makes a right-to-left shot almost essential if you’re going to hit driver. The approach on #2 is significantly uphill and should play at least a half-club longer, particularly to back hole locations. Once you’ve reached the top of the knoll, the green is fairly flat, although shots that land in the middle of the green do seem to kick forward a bit more than usual. Neither bunker is a very good place to miss, particularly if you’ve short-sided yourself. One of the most scenic holes on the course, and one of my favorite driving holes anywhere in the world. Hanse added a bunker down the left-hand side which should come into play for just about everyone. But a right-to-left shot around or a long carry OVER this bunker may be worth the risk, to open up the angle to the green and achieve a level lie. Tee shots that slide to the right here will find their way into a gully which runs the entire length of the hole. Shots are playable from the gully, but the rough tends to be thick and the approach from the right side requires a high shot with a lot of spin to just to hold the green. Continuing the theme from #2, the third green is again perched on a knoll, this time with a more severe false front. As stated above, the angle from the left side of the fairway is particularly good here, as no matter the golfer’s shot shape, he can use the right-hand sideboards to slow the progress of an approach and work it back towards the center or left side of the green. The entire green slopes back-to-front, left-to-right, with a small ridge running horizontally through its center. The righthand bunker is nearly impossible to get up-and-down from; the lefthand bunker is do-able for certain middle and back hole locations. Having played hundreds of rounds at Taconic (but none since 2008), I can easily visualize Hanse’s changes. I’m strongly in favor of most of them. But I’m unsure of how I feel about his adjustments to this hole. I like the fact he has brought the creek more into play on the tee shot, expanding the fairway about 15 yards to the left, as well as his addition of a bunker at the base of the adjacent fifth green (by the way, check out #5’s hole location on your way to play your approach to #4). But I worry that by removing the overhanging Willow to the left side of the approach, the hole has been made significantly easier by reducing stress on the tee shot. It was already not-a-driver, and one of the easier holes on the front side. Architectural considerations aside, it’s one of the most fun holes on the course to play. A remarkable sense of serenity is created by the meandering creek, the adjacency of the third and fifth greens, and the natural setting of the hole’s own green. Regardless of skill level many players have to be careful of backspin on their approach, so steep is the false front on this green. Putts from left-to-right are very difficult to read and have a tendency to play faster than they look. Putts to a rear hole location from the back of the green are very slippery. The fourth is the best remaining birdie opportunity until #18. I guess five would probably be considered a “transition” hole, as it plays rather simply from the plateau shared with the second and third fairways, across a low area, and to a hillock that ramps into the sixth fairway. But it’s a wonderfully understated short hole–an ingenious prelude to the devilish 6th and brawny 7th. Five is the kind of sleeper hole that should be a straightforward par, but can lead to double bogey in a hurry if the player is either too aggressive, or not careful. Stiles may or may not have known as he designed and constructed this hole, but the winds around this part of the property tend to swirl, making club selection more difficult than normal. Like the first, the contours of the fifth green are subtle — the first-time player sees a relatively flat, inviting target — but any short-side miss means an exceedingly difficult up-and-down, as the green slopes sharply left-to-right once you’re on it. Six is the kind of hole that most contemporary architects just wouldn’t have the guts (or the skill?) to design anymore. It’s a classic hole of under 400 yards with no tricks or gimmicks, playing up and across a large hill and working its way from right-to-left across a left-to-right slope. Despite its modest length of 371 yards, it leaves many bomb-and-gouge types infuriated. Length off the tee isn’t essential here, though the player who can hit a right-to-left drive into the slope of the hill will have an advantage both with the distance of his approach and the angle into the green. The main interest of #6 is created by one of the most severely pitched greens on the course; it’s the first instance in the round where even an uphill chip is likely preferable to a downhill putt. Distance, direction, and spin control are all essential on the approach; any miss to the right of the green means a second chip, as the first will almost surely run five to ten yards off the front of the green. When the pin is back left, it may be difficult to keep a putt from the righthand side from curling as many as 12-15 feet left of the hole. Fortunately, the view back down the sixth fairway is totally stunning, with the Berkshires rising in the distance, which serves as some comfort in the event of a two-chip or a three-putt. The tee shot at the seventh is probably the most demanding on the course and perhaps the only one where a particular shot shape (left-to-right) is explicitly called for. From the tee, the hole dips down perhaps 50 feet before turning sharply to the right and uphill. Towering pines line the right side, and combined with the slope of the fairway, they ensure that a right-to-left shot will find the left rough. From the back tee, a carry of about 250 yards is needed to cut the corner on the right. However, driver isn’t an essential play, as a well-struck three-wood will still leave a mid-iron into the green. Check the pin position on the adjacent 13th green before leaving the tee. The second shot is semi-blind (players can see the flagstick but not the putting surface) to a two-tiered green that slopes subtly from right-to-left. Deep bunkers protect the green on both sides. Keeping the ball on the same tier is essential, and any approach that sails long leaves a near-impossible up-and-down, particularly for back hole locations. The excitement of discovering where a well-struck second shot has ended up at the seventh cannot be understated, calling into question MacKenzie’s statement about the “tiresome” nature of these kinds of approach shots. Most Taconic golfers agree that the eighth represents some of Hanse’s best restoration/renovation work on the course. Hanse removed a number of towering pines which deterred players from attempting to cut the corner on this downhill, dogleg-right tee shot, replacing them with a large, menacing bunker at about 275 yards. Together with the enormous shared bunker to the left of the green and a longer, skinnier version on the right, the sense of scale of the eighth is truly remarkable–a wonderful counterpoint to the intimate seventh and 12th holes which flank it. Strategy-wise, there’s really no reason to cut the corner too closely, as the hole is less than 400 yards and downhill. But keeping shots toward the center of the fairway is often easier said than done with a prevailing westerly wind. The second shot will play a quarter- to half-club shorter than you expect, as the green is the firmest on the course and one of the few that slopes from front-to-back. A clever ridge running across the green approximately two-thirds of the way back makes putting surprisingly difficult at the eighth. Fans of the Framing School of design will no doubt acclaim the fact that Stiles’ brilliant dogleg offers two distinct and equally inspirational views. The first look at the Williams campus and assorted Green Mountains is revealed on the tee shot, and an unobstructed view of The Dome, which serves as the backdrop for the approach, is discovered as the golfer works his way down the fairway. Club selection is everything on this scenic drop-shot par three, not an easy a task as it might appear initially, thanks to the swirling winds common to this area of the course. It’s usually safest to check the American flag flying approximately 250 yards away, near the entrance to the course, for the true direction of the wind. The slight bowl of the green becomes perplexingly amplified should the golfer find himself in any of the three greenside bunkers. As at the fifth, any short-side miss at the ninth will lead to an almost sure bogey. Architecturally this may be the least-interesting hole on the course, but the steep drop in elevation makes it a favorite of many Williams students. It’s also the last un-strategic hole in the round, and a final breather before the intensifying drama of the back nine. Like the sixth, the tenth is sadly another lost hole type never seen in contemporary architecture. The tee shot is the only one on the course where you can’t see the landing area, thanks to a gentle rise in topography over the first 150 yards. But it’s actually downhill overall, falling gently from left-to-right. The semi-blindness and slope of the fairway make it difficult to pick an aiming point. Any miss to the right benefits from an easier recovery to the fairway as well as slightly sparser grass; the rough to the left side of this fairway is probably the thickest on the course and typically mown against the line of play. At just over 500 yards, the hole is typically within reach for longer hitters with their second shots, although it plays significantly uphill, and the green is well-guarded by two cavernous bunkers and assorted difficult recovery areas. It’s also probably the most severely sloped green I’ve ever played, falling several feet from back-to-front, with a soft ridge in the center of the green that creates two distinct tiers. Distance and spin control are critical here, and missing in the front third of the green is rarely a bad play no matter where the pin is or what club you hit in for your approach. It’s a grand yet confounding hole whose strategy has been made even more interesting by Gil Hanse’s addition of a fairway bunker on the right side of the approach, and recapturing of fairway to the left (the best line into the green is actually from the right-center). The 11th tee shot is my favorite on the course, disarmingly straight and right out in front of the golfer. Its simple appearance belies its complexity. While the best angle into the green is from the left-hand side (the placement of the right greenside bunker and slope of the green make it difficult to hold from the right), any miss in the left-hand rough is again in one of the gnarliest patches on the course, and tee shots have a tendency to fall off in this direction. Taconic’s longest par four essentially becomes unreachable from this position if one is not in the fairway. As at the adjoining eighth hole, approach shots are intended to come in along the ground at number 11, and any shot from the right side of the hole must be hit with left-to-right spin in order to hold the green. From under the brow of the crest running across the fairway at the 140-yard mark, the landing is semi-blind, and again anticipation builds as one climbs the rise to discover where his ball has finished. Recall that as at number eight, the green runs slightly away from the golfer; thus downhill putts are not as quick as they appear, and uphill putts are slightly faster. The twelfth may be the best short par four I’ve ever played. The intimidating tee shot plays uphill across a deep ravine and is the most strategic on the course. Stiles’ original playing angle has been amplified by Hanse’s new back tee, creating a true Cape-style hole. The line into the green is far easier from the left half of the fairway, but it’s guarded by a specimen elm at the edge of the cape, and more importantly by out-of-bounds just a few yards away. More often than not, a fairway metal is probably the best play unless one is 100% confident in his ability on this tee shot. The elevated green features a dramatic false front, which can send balls as much as 20 yards back down the fairway, and subtle side- and back-boards which can be used to curl shots hit from the left side of the fairway close to the hole. Coming from the right side of the fairway, though, the right-hand sideboard kicks shots forward and away from the player, requiring him to take on the greenside bunker if he hopes to keep the ball anywhere in the middle of the green. Somehow finding a way to stay underneath the hole is essential for front hole locations. To top it off, the view looking back at the Williams campus from this green is one of the best on the course. Thirteen is a simple-enough looking hole from the tee, playing straightaway to an attractive green loosely guarded by four bunkers. The more one plays this hole, the more one learns to respect it, however. There is tremendous advantage to be gained for the long hitter in carrying the brow which crosses the left side of the fairway at approximately 130 yards from the green. Balls landing “on top” generally kick forward and yield a much easier line into right-hand hole locations on the second shot. Shots which do not carry this crest invariably fall sideways into a collection area on the right-hand side, which leaves a semi-blind second shot and a very difficult angle to right-hand hole locations. However, as at #12, out-of-bounds lurks just to the left of the fairway making the penalty for a miss severe. Golfers who don’t feel like challenging this crest may plod their way to the same collection area by hitting a fairway metal or hybrid and enjoy watching the ball chase down the slope to the bottom. The thirteenth green is among Taconic’s most difficult, falling sharply from back-to-front and left-to-right; combined with the fact that the fairway also slopes left-to-right and that balls do not typically bounce off the sideboard and onto the green, it can be very difficult to get the ball close to left-hand hole locations. Keeping the ball underneath the hole is absolutely essential here, and given the slope of the green, while back-right may seem like the easiest pin to get close to, it’s guarded by a swale and often leads to the most three (or four) putts. Although Jack Nicklaus famously completed this hole with a single swing during the 1956 Junior Amateur, the long, narrow green of the 14th requires precise distance and direction. Given that it plays directly across a spine that marks the highest point on the Taconic property, winds can often wreak havoc on impure tee shots, and a three-quarter swing is often the safest play from the back tee. Gaping bunkers protect short, right, and left, and the skyline or horizon green provides no comfort to golfers who try to bail out long. Balls will bound down towards the 15th tee, making recovery difficult from any side. The sideboards created by the gradual build-up of sand bunkers at fourteen creates a fine line between perfection and disaster, yielding as many sure bogeys as they do tap-in birdies. The precision demanded by the fourteenth is an exquisite segue to the burly trio that follows. The most dramatic tee shot on the property awaits as the golfer emerges from the pines surrounding the fourteenth green. Fifteen plays sharply downhill, and thanks to the removal of some two dozen pines just off the tee, offers a stunning vista of the Berkshires down the right-hand side. The tee shot is peculiarly difficult, partly due to the hidden breeze that typically blows across this fairway from left-to-right, and partly because the glory of the shot encourages almost everyone to swing a little bit harder. Somewhat unbelievably, the fifteenth fairway rated as the hardest to hit in the 2004 Massachusetts State Amateur. As at #11, the best line into the green is actually from the left-hand side of the fairway, with a subtle sideboard on the opposite side of the green helping balls curl towards the middle. Though it appears almost dead flat, the second shot is deceptively uphill and often plays a half-club longer. Balls landing in front do tend to trickle onto the green, though not to the same extent as at eight and 11. Though left and right look like equally bad spots to miss from the fairway, the up-and-down is considerably easier from the left-hand side bunkers because of the subtle right-hand sideboard. Despite the proximity of the 15th green to the clubhouse, it’s rare that the golfer feels like ending his round here, knowing what awaits on 16, 17, and 18. If there’s one hole at Taconic that best demonstrates the Epic ideal, it’s the sixteenth. Stiles tightens the screws on this incredibly straightforward hole, requiring two full-blooded lashes to get home in regulation, AND deft touch around the severely-pitched green. Carrying the small gully at the 200-yard mark from the green is a worthy goal from the back tee, leaving a long iron or hybrid to an elevated green. Continuing the theme from 11 and 15, left is the slightly preferred angle (although anywhere in the fairway is fine at 16), but the right rough is marginally easier to advance the ball from than the left. Shots typically play a full club to a club-and-a-half longer due to the significant elevation change, and usually must land within two to three yards of the green to roll past the false front. Even with the extreme length of the second shot, it’s critical to stay underneath the hole at 16, and depth perception is made more difficult by Gil Hanse’s introduction of the skyline effect by removing a number of pines behind the green. The march up the hill comes at a brilliant position in the round, when the golfer is feeling the physical strain of traversing Taconic’s rolling layout, as well as the mental toll exacted by its approach shots. It’s best to pause for 30 seconds or so to catch one’s breath and collect one’s thoughts before lining up a delicate chip or putt at 16. As noted in the introduction, the seventeenth green is the only remaining element from the original seven-hole course laid out on the Taconic property in 1896. It remains the most feared green on the course, and despite the hole’s extreme length, it’s not enough just to get “anywhere on the putting surface” if one expects to make a par. Over 100 years after the green was built, it remains true that the golfer is better off five or 10 yards short of this green than even five or ten feet above (or sometimes beside) the hole. At 220 yards, the hole was hard enough when hitting a long iron or hybrid in college, but Hanse’s addition of a tee box at 246 yards makes it no easy feat with a three-wood now. A pronounced ridge twenty yards short of the right side of the green sometimes kicks balls forward to the front edge, but just as often repels mis-hit shots back down the hill, leaving a treacherous 40-yard pitch. The correct place to miss depends entirely on the day’s hole location, but generally short-and-right will leave the easiest up-and-down. After two half-par holes in a row that test the mettle of any golfer–both skew considerably higher than their stated number on the scorecard–18 offers golfers a chance to get as many as two strokes back before posting their final score. Visually and strategically, the tee shot is just awesome. A wide fairway, one final view of the Berkshires, and (most importantly) a tail wind greet golfers as they arrive at the 18th tee. A ball struck into the fairway bunker on the right-hand side is not a difficult recovery but it does preclude reaching the green in two. Experienced players will challenge this bunker, however, for if they carry it, a hidden speed slot only about five yards wide on the right edge of the fairway will propel balls forward and put the green within reach on the next shot. Any tee ball not finding this tiny runway will likely land softly and leave all but the longest hitters without hope of reaching the putting surface. For the golfer who plays 18 as a three-shot hole, layup position should be dictated by the day’s pin position, and care should be taken to approach the pin from the opposite side of the fairway. Four bunkers, as well as the property line, guard the two-tier green, so if you’re going to layup, lay up! The back tier of this green is typically quite firm, meaning shots must be struck crisply in order to hold it, and approaches from the rough must land short of the ridge. Whatever struggles one may have encountered over the previous 17 holes, the opportunity to make a final birdie excites even the most dejected player. The Home Course is about as good as modern public golf gets. Everything is super-sized–the fairways, greens, and bunkers are all at massive scale–which makes some sense for this course, to allow for the frequent winds off Puget Sound. The Home Course is very playable for golfers of all skill levels, but still poses a significant test for low-handicap or scratch players. As a championship test, it’s more interesting than its sister, Chambers Bay, thanks to more challenging green surrounds, and its scenery is almost as good. The par 3’s in particular will definitely get your attention here. The course features gentle elevation changes throughout the course, for the most part, very walkable distances between greens and tees. The front nine is probably two shots harder than the back. Although homes are visible from about six holes, they don’t even come close to coming into play (yet…there are some empty areas that look like prime territory for future development). “Home’s” condition far exceeds that of a typical daily fee course. The greens are very true and well-paced, but the fairways could be mowed a bit shorter (and to be honest, seeded with a sparser grass) to allow for more ground game. The rough is not overly penal but does make it difficult to control the distance of the approach shot. Architecturally, it’s unfortunate that the design mimics a typical John Fought layout so closely, since Fought has already been so prolific in the Pacific Northwest. Most of the holes are virtually indistinguishable from those at Trophy Lake, Washington National, Crosswater, or The Reserve (all solid courses, to be sure, but nothing truly remarkable given the potential of their sites). There’s also very little variety. Even the handful of short two-shot holes have large greens, wide fairways, and expansive bunkers. I hit the same club (hybrid) on three of the four par 3’s and hit either a 6- or a 7-iron to about 60% of the par four greens. The Home Course does have five standout holes, however: #4, #8, #9, #17, and #18 are particularly memorable. Overall, even if the course is somewhat bland from an architectural standpoint, it’s a very enjoyable walk at an amazing value. The Home Course does not exactly ease you into your round. The opening tee shot plays semi-blind (there’s quite a bit more fairway to the left than one can see) and into the prevailing northwest wind. It’s also not exactly a short hole at 451 yards from the Dynamite tees (cleverly named, as the course lies on the former site of an explosives manufacturing facility for E.I. DuPont de Nemours). As with all of the fairways at The Home Course, there’s plenty of room at the first, but the best angle into the green is actually from the right-hand side. The right side also happens to be lower in elevation, so unless you pure your first swing of the day, that’ll be semi-blind also. A good drive should leave a mid- to long-iron from the top of a rise in the fairway. Someone playing from the wrong set of tees may be able to bash a drive over the rise, which will mean hitting from a downhill lie into the green. The green cants gently from left to right, but rather severely from front to back, and only the brave will attempt a run-up shot between or over the two gaping bunkers in front. Bailing out to the righthand side won’t kill you, though, and should be a reasonably easy up-and-down. All greens at The Home Course are relatively fast and firm, though for some reason, this one seems even more so. The length of the second shot combined with the direction of the green’s slope mean that hitting a shot tight to a front pin is next to impossible. The plus side is that many first putts of the day will be uphill. On a sunny day, the glorious views of both Mt. Rainier and the Olympic Range are evident right off the bat. The Olympics are in full-view off the 2nd tee, and the speed with which architect Mike Asmundson directs the golfer to The Sound recalls both David Kidd and Tom Doak’s routings at Bandon / Pacific Dunes. There’s no reason not to hit driver off of #2 tee, though iron is plenty of club. The corner of the bunker on the right only requires about a 240-yard carry from the Dynamite tee, and there’s obviously plenty of room to the lefthand side. The right side leaves both a flatter lie and a better angle into the green, but because it’s only a short-iron in, positioning is largely irrelevant. The green cants gently back-left to front-right, though there is a reasonable fall-off at the left-hand side. Short and right leaves a very straightforward up-and-down to just about any pin. The second of two “breather” holes before a series of stern tests. It’s hard not to pause and admire the Sound View from the tee box before hitting almost directly towards Mt. Rainier. The bunker on the left is actually about 300 yards away from the Dynamite tee, and actually can’t be carried despite what it appears from the tee box. Hitting towards it will shorten the hole a bit, and despite a better angle, will leave a semi-blind shot into the severely-tilted green. Aiming at the 150-pole leaves a short iron and a reasonable shot in. The rear of the green pad is built up perhaps 35-40 feet from its surroundings, giving some indication just how severe the slope really is. The Armory is the first of two consecutive holes where which set of tee markers one plays has a tremendous impact on the difficulty of the hole. Not only does the hole require a long forced carry with a long-iron or hybrid, but a bunker determines the accessibility of a particular hole location from the black or Dynamite tees. From the blues on down, the bunker has a decreasingly significant effect on the golfer when the pin is on the left half of the green. The raised green pad makes it very difficult to play a run-up shot, which is a bit of a shame on such a long hole that plays into the prevailing wind. The fourth features a three-tiered green whose highest point lies in the middle, but the slope to either side is pretty mild. Two-putting can be a challenge, only because one is likely to have such a long birdie putt after a tee shot of 200+ yards. I didn’t have the heart to go all the way back to the Dynamite tees on this hole (they’re a full 75 yards behind), but this hole was plenty long enough from the Blacks. The fairway looks like a nice little saddle off the tee, but the best line is actually over the inside corner of the left-hand bunker, since the hole works its way to the left at the crest of the hill. There’s a little speedslot as an extra reward if you ARE able to carry that bunker, putting the green within reach for super-long hitters. Otherwise, middle of the fairway is just fine if you’re going to play it as a three-shot hole. The second is actually one of the tighter shots on the course, and the swales in front of the green make it a) difficult to run the ball up if you’re going for the green in two and b) tough to get a level lie for your third. Although the hole location on the day I played was relatively benign, right at the front of the green, anything close to the back edge would be downright devilish no matter what club one hit in on the approach. Swales and falloffs would take all but the most crisply-hit approaches right into some very proximal greenside bunkers. The sixth was one of the weakest holes on the course, I thought…not because it wasn’t difficult, but it was one of the few holes at The Home Course where I wasn’t excited to hit the tee shot. Three boring saucers surround a three-tiered back-to-front saddle green…it’s almost as if Asmundson knew this was going to be the weakest hole but needed to get from the fifth green to the seventh tee somehow. So he threw all of the modern gimmicks at the hole he could to try to distract you. There is an amazing view of Mount Rainier off to the left as you approach the green, though. The seventh was another one of my not-too-favorite holes (thinking back, other than six and seven, I really liked the front nine). At 434 yards, you’d think driver was a near-must to have a decent approach to a green that is fronted by water and bowled at the back edge…but unfortunately it’s taken out of your hands by a severe downslope just in front of the pond…which you can’t even see from the tee. Blind hazards are never a good thing, particularly on a high-end daily-fee course like this one with a lot of first-time players. So after a solid fairway wood, you’re looking at a downhill shot with a mid-iron to a rock-hard green. When the pin is in the front, as it was the day I played, there’s literally no way to stop the ball on the green. Perhaps as the course matures a bit, the green will soften, making this less of a concern. It’s unfortunate that Asmundson felt the need to take the pond so far to the left, so as to cut off any chance at a run-up shot for the well-placed tee shot down the left-hand side…perhaps one can use the green contours when the pin is on the right-hand side, but it doesn’t work on the left. The eighth starts a stretch of four pretty cool holes. At 561 yards, it’s quasi-reachable, except that the tee shot is uphill, and the angle on the second shot is unique, as I’ll explain in a few sentences. It’s actually a really attractive tee shot, and an old wooden-rail fence meandering its way along. There’s no sense of constriction but some curiosity at what might be just over the of the hill. The far right side is absolutely the best line if you’re trying to reach the green in two. Upon reaching the crest, there’s a spectacular view of the Olympic mountains and a vague notion that it’s still better to approach the green from the right side. But the first time around one doesn’t truly appreciate just how far right, or the dire necessity if you want to get close to a hole position on the left side. That’s because a HUGE knob guards the front-left corner and is positioned extremely close to the putting surface. No matter the loft you come in with, that ball ain’t stopping until it’s rolled two-thirds of the way to the back. It may or may not be natural, but by using it Asmundson has created a very rare breed of hole: the medium-length par five that makes you think about how to play it. The ninth was absolutely one of my favorite holes at The Home Course…probably because it’s the one that feels most from another era. It’s also one of the more deceptive holes one’s first time around the course. The tee shot is absolutely stunning, working its way over the crest of yet another hill, and down towards one of the few glens of trees on the entire golf course. The wooden rail from the last hole makes a return appearance, with a hazard down the left. The hazard looks mildly threatening off the tee but actually there’s plenty of room down the left-hand side, and you could be blocked out, particularly for right hole locations, if you hug the right-hand side of the fairway too closely. The green looks typically modern from the approach–without much interest–but its interior contouring is pretty special. There’s a medium-size plateau at the back of the green that pokes out into the center as a little ridge, so it has quite a bit of influence over any shot that isn’t perfectly struck. The Back gets off to a somewhat disappointing start, as the walking golfer is left with a fairly hefty trot to the 10th tee, and transported from the bucolic splendor of the 9th green to another semi-blind tee shot where the real eye-catcher is the backdrop of suburban Tacoma. But put the houses out of your mind, and you realize “Narrow Gauge” is actually a pretty solid risk-reward hole. A good tee shot to the right-center of the fairway will leave a little bit of a downhill lie, making the second shot a little tougher than you might envision. But, while it doesn’t appear so from the fairway, there’s actually quite a bit of room over the right greenside bunker (perhaps 20 yards?) before you reach the green. Balls should get a nice little kick forward. If you’re playing #10 as a three-shot hole, the best angle for your approach is from left-of-center, where you’ll have a bit of an uneven lie. It also seemed to play about half a club longer for me. There wasn’t much to the green, as I remember. But it was an enjoyable hole. I have to say, Asmundson’s Challenge wasn’t much of a challenge. But given the impending stretch of holes from #13 – #16, it’s nice to have a birdie opportunity thrown in ahead of time. It’s basically a drivable par four, with the prevailing wind. Even if you don’t drive the green, you’ve got a fairly straightforward pitch shot. The gaping bunker that commands your attention off the tee is actually far enough in front of the green that missing anywhere left or right of it leaves a pretty straightforward pitch shot. Additionally, the pin positions could get pretty nasty, with falloffs into collection areas on both sides. But on a typical day, this is a hole you need to take advantage of. I think, or at least I *hope* that this is a temporary hole. The walk (or drive) from the 11th green to the 12th tee was about 400 yards in-and-of itself. It looked like they were trying to grow in some fairway that hadn’t taken hold yet. The green on this hole was pretty boring and the cart path was awfully close to the lefthand side. That’s about all I can remember. Thirteen feels like a “transition” hole where Asmundson is just trying to get you out of the woods for good and back to the “Sound” part of the property. The fairway is wide enough to land a 747, but into the eponymous headwind you’ll need to knuckle down and focus on your trajectory. Even a well-struck tee shot will probably leave a fairway metal or hybrid into the green, but there’s plenty of room to hit the run-up here. The green actually wasn’t as dull as you might think on a hole of this length, with a fairly subtle Biarritz in the middle. Just enough visual interest to keep you on your toes, but easy enough to read such that a player skilled strong enough to reach this green in two has a legitimate birdie putt. The only hole on the course that feels like it should be in Florida. It’s a long carry over water to a big,flat green. There’s plenty of room to bail out left and the up-and-down from over there isn’t bad. The banks aren’t shaved so tight that a ball will roll back into the water, but I suspect they might be when the US Am match play qualifying rounds are played here in 2010. Fifteen was one of the coolest holes on the course, I thought. The tee shot is a little deceiving. The large ridge on the left-hand side looks like it’s pinching the fairway in, and encouraging a right-center or even right-right tee shot. But in actuality, there is a TON of room over that ridge, and the left side is actually the best angle into the green for certain hole locations. In that way, it’s kind of a poor-man’s version of Coore & Crenshaw’s ridge hole (#4) at Bandon Trails. The shape of the green, and actually the contouring as well, is one of the most interesting on the course, a little half-boomerang, half-redan with all sorts of ruffles, shelves, and ridges. This would be a spectacular hole, in my opinion, if the fairway were about two-thirds as wide and the mounding behind the green were removed, making it a truer redan on the second shot. There was surprisingly little interest on a hole named “The Works,” other than the to thread your second shot between the large knob and the bunker. There’s a Mackenzian dearth of fairway bunkers on this hole making the tee shot a total giveaway. The green is fairly challenging but dull in appearance. Given the upcoming thrill of the 17th, perhaps Asmundson is simply trying to lull the player to sleep here and jump up and bite him on the green (if so, the strategy worked on me; I made bogey from 120 yards in). Probably the most scenic hole on the course, with views of the Olympics, the Sound, and Mount Rainier on three sides. It’s the final semi-blind tee shot on a course that’s full of them. I say that affectionately–with the fairways as wide as they are, I think the semi-blindness of the tee shots in general makes them exceptionally thrilling to hit–you always feel like you’re accomplishing something if you can figure out just the right line to get you maximum distance. At any rate, back to the 17th. It’s really a fascinating tee shot. The further right you go, the more likely you are to get the benefit of the speed slot as far as distance is concerned…but you’d rather be even further right to have the best angle into the green, as there is a gaping bunker that protects the lefthand side. It’s a pretty sharply raised green, appropriate for a hole where most players will have a wedge approach, and the falloff/false front is not a feature you want to mess with. And depth perception is difficult with no mounding behind the green to assist the indecisive golfer. It’s a brilliant hole at a brilliant time in the round after you’ve just played three brutes in a row, with a final beast on 18. As a Championship test, eighteen is a brilliant finishing hole in my opinion. It’s not the most interesting hole on the course, but it requires the golfer to hit two very solid shots to reach in two, and with the late-afternoon sun illuminating from behind, it’s peaceful and stern at the same time. Strategically, the tee shot is considerably more interesting than the approach. Due to the right-to-left slope in front of the right-hand side of the green, it’s actually best to flirt with the lefthand fairway bunkers…you’ll also have a far better view of the green from there. Tee shots in the right rough will leave a largely blind second shot. Approach-wise, there’s plenty of room for weaker players to run a shot up, and if their wedge game is solid, they should have no trouble getting up-and-down from 40 or 50 yards.